Ready to stop torturing your legs with razors, hot waxes or depilators? You’ve come to the right place. is the real never shave again (as in never ever) solution. targets all of your leg hair without the pain of waxing or risk of itchy razor burn. costs less than maintaining a shaving/waxing routine. On average, women spend 130.8 minutes shaving each month. 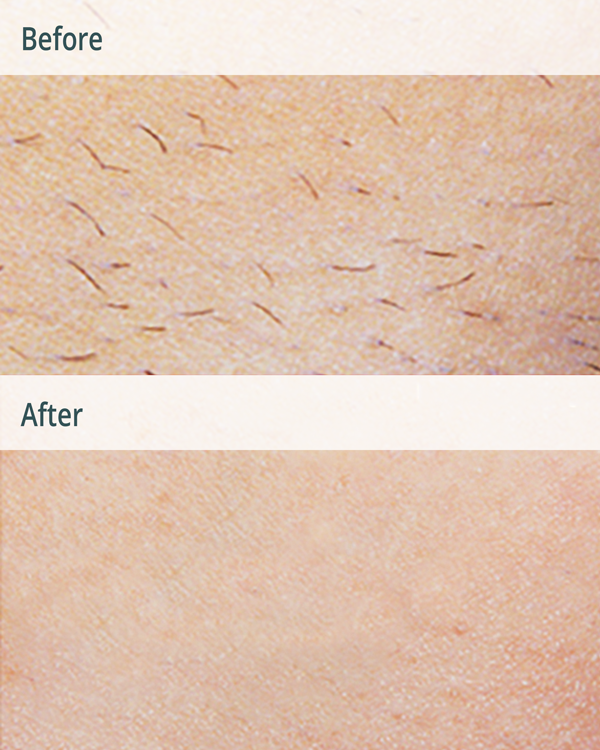 With laser hair removal, razor bumps and ingrown hairs are a thing of the past. Your legs will be softer and look incredible without hair follicles creating shadows in the skin. Stop negotiating the terrain around your knees and ankles and start your journey to smooth. Our lasers target your hair follicle to eliminate the root of the hair without damaging or irritating your skin. After a registered nurse pulses the laser, a cooling mist is immediately released to ease any discomfort. With the root destroyed, that hair will never regrow leaving you with smooth, hair-free legs. Laser leg hair removal costs less than waxing or shaving & gives you silky, smooth legs. Permanently. Shorts or Skirt Ready. Always. No more last minute shaving or having to wear pants because you ran out of time to shave. You’re always ready to show off your smooth legs! Comfortable Treatments. Say Goodbye to the pain of tearing off hot wax strips & razor nicks. Our lasers are gentle enough to target the hair follicle without damaging or breaking the surface of the skin. Never Shave Again. With Milan’s exclusive Unlimited Package™, your results are guaranteed for life. A rogue hair shows up on your knee 10 years down the road… No Problem! Come in and we’ll take care of it for you. Laser hair removal is the best way to remove leg hair and get permanently sleek, soft legs.